When Jesus entered his hometown synagogue and began his ministry by claiming to be the one who was going to bring release to the captives, the good people of Nazareth tried to throw him off a cliff. Freedom is a scary thing. The reluctance of the people of Israel to accept the responsibility of freedom as Moses led them out of captivity towards the Promised Land was marked again and again by rebellion and a hankering after Egypt, where they had been slaves for over 400 years. And yet freedom is a powerful urge. We all have a very strong desire to escape from dehumanising control – from any form of slavery. Anyone hearing Freddy Mercury singing I want to Break Free for the first time is transfixed by the power of the song. We all identify with the desire to be rid of oppression of any kind – because we know instinctively that experiencing freedom is allied to experiencing the grace of God. When we feel unfree we reason that we are not in receipt of what Jesus came to bring. That only increases our desire to be free. Well Paul (as always) makes it plain. In his letter to the church in Rome he says that the problem is that we set our minds on the flesh. At least, that’s how the NRSV translates Vs.6. It is worth noting: a more literal translation of Paul’s Greek is not so much having one’s mind set on something as it ishaving a mind-set. But a literal translation would read For the mind of the flesh [is] death. In other words we are simply stating a fact. Death is the result of being on the wrong team. This is supported by Douglas Moo in his commentary on Romans who says, “To walk according to the flesh,” then, is to have one’s life determined and directed by the values of “this world,” of the world in rebellion against God. There is no anxious internal struggle here. This is a greatly freeing distinction because it does away with the idea of an internal dualism and focusses on the Kingdom of God and its values with which we associate. It’s a question of the mast to which you nail your colours. In other words; what is your mind-set? Is it one that associates with the values of this world – me first, the consumer society, and extreme individualism that plays into the hands of licentiousness? Or is your mind-set one that embraces the values of the Kingdom of God – consider others first, people are more important than things, and belonging that implies accountability to the community of God? It’s not about anxious psychological navel-gazing but about our orientation: God’s values or the world’s values. It’s far more liberating to accept that the work of Christ on the cross deals with the internal stuff as it were. As Vs 3 says, he’s sent his son to deal with sin. We can get into knots trying to sort ourselves out. God is a lot better at that than we are! We are required to sort out our turangawaewae and make sure we stand in the place we claim tobe our standing place. It is when we align ourselves with God’s Spirit that we develop a Spirit mind-set. We don’t have to be perfect. It’s not so much how successful we are at the internal battle to be good, but rather the direction towards which we are orientated. It’s not so much about assessing our performance as it is about which team we’re on. 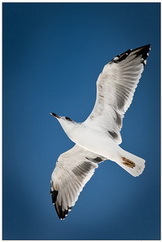 We are the pathway from which the birds steal the seed – hardly aware of God’s word to us. At other times we are rocky ground with shallow soil – we find ourselves inspired by God’s word for only brief periods of time. At another time we might find ourselves amongst weeds where the word settles into us but our focus changes back to the world’s values and the effectiveness of God’s word to us is neutralised. At yet another time we represent good ground and bring forth a harvest – the word of God multiplied in us 100, 60 or 30-fold. The point is we don’t worsen our struggle by labelling ourselves according to any one particular category of receptivity to God’s word. We are realistic and humble enough to know that at times we will fail, but that we can just as easily remind ourselves whose we are; which Kingdom we associate with, and be fruitful again. We are not locked in to any one level of saintliness or otherwise. We have been freed by Christ. All we have to do is associate with the right Kingdom and its values. This of course involves an entire lifestyle of association. It’s not some mental trick. It’s not simply setting your mind by an individual effort of the will. It is an embracing of the community of God, its values and its practices. It’s practical. We’re in it with others and we make progress with the help of others. We are committed to others – to fellowship with them in the Church – the Body of Christ. That is real freedom. It does involve change. It inevitably involves responsibility too. But it does so in an environment of the love of Christ. If you are frustrated in your Christian walk, if you find yourself hankering for freedom, you need to give yourself entirely to the Kingdom of God. It will cost you everything you are. God requires all of you: lock, stock and barrel. And the rewards are freedom, peace and love – in fact all the fruit of the Spirit. in the right place – by aligning ourselves with the Kingdom of God and giving ourselves over to it entirely. This is what Jesus meant when he said in Matthew 16: 24 For whoever wants to save their life will lose it, but whoever loses their life for me will find it. Living according to the Spirit (and not the flesh) is not so much an anxious internal struggle – it is associating with the values of the Kingdom of God. We are not locked into any one level of spirituality. Because we’re human we’re sometimes not receptive to God’s life-giving Word to us. But we can just as easily bereceptive and (like good soil) produce a good harvest. True freedom in Christ means giving ourselves over entirely to Him and identifying completely with the Kingdom of God. Let’s conclude by listening to a song called Looking for Freedom sung by Elayna Boynton and Anthony Hamilton from the film Django Unchained. God bless you as you count the cost and understand the value of your freedom in Christ. 22After these things God tested Abraham. He said to him, ‘Abraham!’ And he said, ‘Here I am.’ 2He said, ‘Take your son, your only son Isaac, whom you love, and go to the land of Moriah, and offer him there as a burnt-offering on one of the mountains that I shall show you.’ 3So Abraham rose early in the morning, saddled his donkey, and took two of his young men with him, and his son Isaac; he cut the wood for the burnt-offering, and set out and went to the place in the distance that God had shown him. 4On the third day Abraham looked up and saw the place far away. 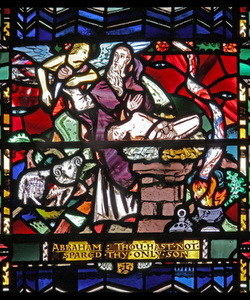 5Then Abraham said to his young men, ‘Stay here with the donkey; the boy and I will go over there; we will worship, and then we will come back to you.’ 6Abraham took the wood of the burnt-offering and laid it on his son Isaac, and he himself carried the fire and the knife. So the two of them walked on together. 7Isaac said to his father Abraham, ‘Father!’ And he said, ‘Here I am, my son.’ He said, ‘The fire and the wood are here, but where is the lamb for a burnt-offering?’ 8Abraham said, ‘God himself will provide the lamb for a burnt-offering, my son.’ So the two of them walked on together. ‘You are the Messiah, the Son of the living God.’ 17And Jesus answered him, ‘Blessed are you, Simon son of Jonah! For flesh and blood has not revealed this to you, but my Father in heaven. Faith is a response to revelation. It is our hearts coming alive to an awareness of God, whether it is a sense that God is speaking to us, or whether it is a sense of God showing us something about Himself. You see God longs to fellowship with us and he will always begin the conversation, even if it appears to us as a thought generated by ourselves. Revelation – God’s whisperings to us – seldom comes in Technicolor. How do we respond to that of which we cannot be 100% certain? Now if we can’t be 100% certain there is always an element of risk attached to a response. That is the nature of faith. We exercise trust that what is revealed to us is in fact true. We find ourselves leaning on God and not on our own rationality. Perhaps this is why God’s revelation is often blurred. It requires a humble and trusting placing of our hands in God’s hand as we respond. One might say that faith is exercising with certainty that of which we are not certain but of which we can be sure in principle. What do I mean by that? Well, in the long years of revelation through the Scriptures and experiences of God’s people, the Church, certain principles about God have become clear. Of these we can be certain. But that is all head knowledge. When it comes to you and me responding to the specifics of God as we sense Him speaking to us, we are less certain, and we have to respond in faith. At that point it becomes a matter of the heart. When we do so we are committing ourselves to the prompting as though we are sure of it. As we do so, it becomes clearer – not because we think “I’m in for a penny so I might as well be in for a pound” – no. It’s because that’s the way God works. As we respond in faith so things become clearer. “I believe so that I may understand,” was the maxim of Anselm of Canterbury. When we believe we understand because when we do so, when we trust God, he shows us a little more of the puzzle. He reveals more. We receive more revelation: knowledge of God and what He might want in a particular situation. What we can be certain of is that God is trustworthy. When God told Abraham to sacrifice his only son Isaac whom he loved, do you think he was 100% sure that this is what God wanted? Remember he’d waited 100 years for this miracle baby who needed to be alive for all the wonderful promises God had made to Abraham about his descendants to come true. This God, who hated child sacrifice, was telling him to sacrifice his son. Abraham took a massive step of faith. Hebrews 11: 9 says Abraham reasoned that if Isaac died, God was able to bring him back to life again. That is some faith! Abraham had had to exercise faith throughout his journey with God and he had seen the rewards of faith. Earlier in the story God had told him not to rely on Ishmael. Rather, we read in Genesis 15: 5 – 6. He brought him outside and said, ‘Look towards heaven and count the stars, if you are able to count them.’ Then he said to him, ‘So shall your descendants be.’ 6And he believed the Lord; and the Lord reckoned it to him as righteousness. Paul quotes this incident to both the Romans and the Galatians. There is reward attached to faith. It is what God looks for. Hebrews 10: 35 So do not throw away this confident trust in the Lord. Remember the great reward it brings you! And now Abraham was acting in faith again – and apparently about to slaughter the precious gift of his son! Where was the reward in that?! And yet he proceeds because he hasn’t got his eye on the gift, but on the giver. And that is what God was testing. Only the important stuff gets tested and here it’s that God comes first and can be trusted. This is the first point about faith: it expresses certainty in God. Not in an outcome. The outcome is in God’s hands. God simply requires trust in Him. And this gets tested. When Isaac asks his father where the lamb for the sacrifice is 8Abraham said, ‘God himself will provide the lamb for a burnt-offering, my son.’ So the two of them walked on together. Abraham kept walking! He didn’t hesitate. He knew he could trust God. He was certain of God, though uncertain of the exact outcome. He knew that if he kept going in faith and obedience the solution would be revealed to him. At the moment, however, he was acting on the limited revelation he had. And this is the second thing about faith: it leads to action. Without hesitation he builds an altar, lays wood on it, ties up Isaac, places him on the pile of wood and draws his knife to kill him. Rough stuff, but raw unadulterated faith in action. But Jesus is not particularly interested in the opinion of others. In the next verse 15He said to them, ‘But who do you say that I am?’ Jesus illustrates here the third thing about faith: it is personal. You’ll notice that Abraham had some pretty tough decisions to make after his revelation from God. And he had to make them on his own. There would have been little use in his asking others what they thought. The Rescue Isaac Brigade would have formed very quickly – only a little quicker than the Let’s Have Abraham Psychiatrically Assessed Brigade. The response to faith is inevitably personal. Even if you can happily consult others, in the end you live with your decisions. The buck stops here. It is so with a response to God too. While we are social creatures, He’s interested in each of us individually. We’ll all give an individual account for our lives at some point. This is why God relates to us individually. He loves us individually because each of us is individually important to Him. Faith elicits a response from God. It always does, and it will always involve greater revelation – a greater knowledge of God and perhaps of His intentions too. That’s the fourth thing about faith: it elicits a response from God. To these particular words of faith Jesus responds with joy and generosity towards Peter. Faith elicits a response from God and it involves the reward of revelation. And I’m sure that the two powerful readings this morning are not lost upon you. Isaac is saved by the substitution of a ram which is supplied by God. He is offered on Mount Moriah, the same spot God chose for the siting of the temple in Jerusalem – the place where the system of sacrifice was carried out for hundreds of years – a system which foreshadowed the great sacrifice of Jesus in his crucifixion. Jesus was the Lamb of God supplied by God and, who in allowing himself to be sacrificed outside the walls of Jerusalem, took upon himself all our sin, creating for us a way back to God. Jesus was the free gift of God to us for our salvation. In Ephesians 2: 8 Paul says to the church in Ephesus, For by grace you have been saved through faith, and this is not your own doing; it is the gift of God. But like any gift you have to receive it. In Romans 10 Paul informs his readers, 9because if you confess with your lips that Jesus is Lord and believe in your heart that God raised him from the dead, you will be saved. 10For one believes with the heart and so is justified, and one confesses with the mouth and so is saved. Faith is exercising with certainty that of which we are not certain but of which we can be sure in principle. And the greatest response of faith we can make is a response to the Gospel – the Good News for God has revealed Himself to us in His Son. Here we believe in our hearts and confess with our mouths that Jesus is the Christ. This is the route to salvation. It is also the road to discipleship. God bless you in your walk of faith this morning. Don’t you wonder what all those friends and neighbors of Mary and Martha must have been thinking when Jesus approached that burial tomb and commanded them to “take away the stone”? Can’t you just see them covering their noses in dreadful anticipation and casting perplexing glances at one another? We can imagine them starting to take steps backward away from the cave. And how do you suppose they reacted when Jesus cried to a dead man, “Lazarus, come out!”? And did those who witnessed the miracle really see the spiritual truth at the base of it all? And what is the spiritual truth at the base of this story? Jesus said: I am the Resurrection and the Life The story of the raising of Lazarus from the dead is the climactic miracle in the Gospel of John. It is told by the writer of John’s Gospel, to visually illustrate Jesus’ claim that he is able to resurrect the dead and return what is dead to life again. I am the resurrection and the life is the 5th of Jesus’ great I am revelations. These statements in John’s Gospel point to the divinity of Jesus as the Christ, the Son of God, the Messiah. has access to the power of God. The story of Lazarus has a number of significant applications for us today and can be understood on several levels. 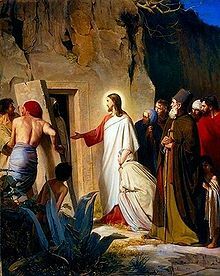 Firstly, the event of Jesus’ raising Lazarus from the dead confirms that he is God. Only God can raise the dead to life. Secondly, the physical death of Lazarus can be understood as a metaphor for spiritual death. Just as physical death ends life and separates people, so spiritual death is the separation of people from God and the loss of life which is in God. Jesus came to break the deathly hold that sin has on our spiritual lives and to offer us a life of resurrection to new possibilities and spiritual freedom. See John 10: 10 I have come that they may have life, and have it to the full. In the raising of Lazarus, Jesus shows he can resurrect the spiritual life that is dead in sin. Just as Jesus is said to have called to Lazarus to “come forth” from the tomb of death, we are encouraged to believe that the same thing is said on our behalf—“Charmaine, come forth from the tomb of your sin to live again!” Yet Jesus was also thinking of the life to come. The story illustrates that Jesus is able to fulfil his promise to conquer the power of death and to offer us eternal life. Thirdly, we know that in Jesus we see the nature and character of God revealed and so we can learn some important things about the compassionate nature of God from this story. We learn in the words: Jesus wept, that God cares deeply about us and our grief. Jesus wept because of his compassion for his friends. He knew Lazarus would be raised and all would be well yet he wept because he felt the grief of Mary and Martha and Lazarus’ friends and family. We understand from this, that we worship a God who cares deeply for his children. This is a wonderful insight which blesses us. To prove that death spiritual and physical will not have the final word when we put our trust and faith in Christ. The Gospel writer uses Jesus’ miracles to convince people that Jesus is who he says he is. 20: 30 – 31 30Therefore many other signs Jesus also performed in the presence of the disciples, which are not written in this book; 31but these have been written so that you may believe that Jesus is the Christ, the Son of God; and that believing you may have life in His name. The story of the raising of Lazarus illustrates what Jesus can do in our lives. We each of us have sinned and fallen short of the glory of God. Many are the tombs that hold us captive in life and there are many different kinds of grave cloths that can bind us. Just as Lazarus’ grave cloths made it difficult for him to walk out of darkness of the tomb into the light of freedom, we too can be paralyzed by those things that keep us from experiencing life in all its fullness. Think of the fears and addictions; the feelings of hopelessness and aimlessness; the anxiety and despair; the lack of faith or the lack of self-confidence to do what we feel we should do that holds people back and immobilizes them. I wonder what are the spiritual, emotional, or psychological strips of cloth that might be binding you and me today? In what ways are we, like Lazarus, longing for release, longing for the light of day, and for a breath of fresh air? The good news of Jesus Christ comes to us today, calling us out from our tombs of sin and despair to new life, right here, right now. And that is really what the season of Lent, as we look toward Easter, is all about—leaving the deadness of our lives, to take hold of new life. The story of Lazarus teaches us that in Jesus we have one who can call us forth just as he called Lazarus forth. Sometimes it is hard for us to walk away from those tombs that enslave us. And sometimes it is difficult for us to walk in new life while still bound by those grave cloths that bind us. Thankfully, we have a community of faith, the Church to support us. “Unbind him (loose him), and let him go,” was spoken to the community of faith of which Mary, Martha and Lazarus were a part. A question that we are led to ask ourselves is, Once we have been unbound, found release, are we willing to return the favor? Are we one who is ready to jump in to help unbind others who need release? Or, are we like the ones who drew back critically, not wanting to get too close? As members of the community of faith, the call to each of us is to jump in and do our part in helping others find freedom in the liberating grace of Jesus. This we can by sharing our testimony with others who need Jesus to help them sort out their lives. Joy Cowley has written a beautiful poem entitled “Lazarus” about this whole experience of how we are called forth from death to new life by Jesus. while the rest of me stands by wondering why the light has gone out. I argue that I can’t. Yes, that is exactly what John the gospel writer is trying to get us to see. There is something more powerful than death. The grave clothes that bind us need not have the final say. “Come forth! Come forth!” Come forth from a state of deadness to the joy of being alive. I love Gardens. I am not a very good gardener, but I do appreciate having a nice garden and one of my favourite people is Jim Hoole, who is the man who tends my garden at home for me. In today’s reading Mary mistakes Jesus for the gardener as she tries to process the the fact that his body is missing from the tomb in the garden. There is a lovely poem by Dorothy Frances Gurney called God’s Garden and the last verse of this poem is on a plaque hanging in the Garden of Remembrance next to the Church. Why are gardens so special? Perhaps they enable us to be creative as we have been born in the creative image of God. Perhaps because they are places where we see the full cycle of life played out for us before our very eyes. Life, death and new life. Easter is a time when we reflect on life, death and new life and the role that Love with a capital L plays in that cycle. · The Garden of the empty Tomb. 1. The Garden of Eden is the biblical garden of God described in the book of Genesis chapters 2 and 3. The word Eden means fruitful and well watered in Aramaic. So in love, God created a beautiful garden which he intended to share with the human beings he had created and whom he loved. Here we discover the creative and constructive nature of love. This garden was watered by the rivers of life and love. In this Garden people were free from sin and it was a place of innocence. Here God ordained that people would be loved by him and would live a free life, untainted by any knowledge of evil. However we all know how the story goes. Humans having been created with the ability to love were also given free will. Love by its nature cannot be forced and so along with love must come free will. Perversely humans chose to use their free will to explore evil and so Adam and Eve ate of the tree of the forbidden fruit. This left the world with the corrupting problem of sin and evil. With the demise of their innocence Adam and Eve were forced to exit the lovely garden God had created for them. Outside of this idyllic state of innocence, humans found themselves struggling to remain in right relationship with God, the author of Love. The choice they had made meant that they were no longer in right relationship with God. It meant that they had forfeited their place in the royal Garden and they had lost their inheritance of eternal life. 2. This brings us to the second Garden. The Garden of Gethsemane. Here in this Garden we find Jesus the Christ, the one sent by God to save humans from the corruption of sin, love made flesh and dwelling amongst us, God incarnate. Sin is present in this garden also, for it is here, on the Mount of Olives, that Judas betrays Jesus with a kiss. A kiss is normally a sign of love. Judas not only betrays Jesus but also betrays love with that kiss. Yet unlike the Garden of Eden, in this garden sin is defeated by love. In this garden we see the sacrificial nature of love. Jesus, faced with the pain and suffering of his immanent passion and death, is literally sweating blood from anxiety until he finally chooses to use his free will to sacrifice his own life in the interests of restoring a right relationship between God and humans. “Father let this cup pass from me, but not my will rather thy will be done.” This decision leads to the crucifixion and death of Love at the hand of the destructive forces of evil. 3. The third garden is the Garden of the Empty Tomb. Here after three days, love is resurrected for all those who choose to believe and to follow Jesus. Here in this garden we see love conquering death and the legacy of the Garden of Eden has been overcome. So we see the power of love in this garden. Herein lies the significance of the resurrection of Jesus Christ from the dead, because here in this garden, Jesus offers new life to those who choose to follow him. This is the story of redemption. Herein also lies the meaning of Jesus’ death and passion. 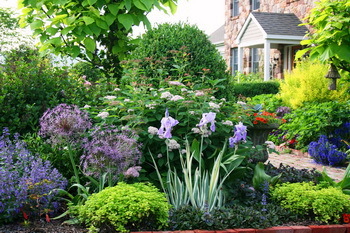 These three gardens hold the key to God’s plan to restore right relationship with humanity. In these three gardens we see the struggle between love and death, good and evil and in the resurrection of Jesus, we see love triumph over death. So in each Garden we discover a vital characteristic of love and we see God’s love for humankind to unfold. In the first garden, the Garden of Eden, we see the creativity of love and God’s plan for a perfect environment for humans and his creation to flourish. This plan is railroaded by evil. In the second garden, the Garden of Eden we see the solution to the problem of evil and the sacrificial nature of love as Jesus offers himself to be a living sacrifice in the interests of love. In the third garden, the Garden of the Tomb we see the power of love to overcome death and evil and God’s promise of eternal life is manifest. So, God the author of love, outworks his loving plan to save humanity on the stage of these three gardens. It is a time-honoured tradition for Christians, the followers of Christ to renew their Baptismal vows on Easter Day. In doing so we once again choose the path of Love, we choose to be in right relationship with God and we choose as followers of Christ to be inheritors of the eternal life he promises us in his death and resurrection. At our Baptism we responded to God’s love and were through the sacrament of Baptism, made to be children of God, followers of Christ as the way the truth and the life. It is fitting on the day when we remember the resurrection of Jesus to renew that commitment to following him. So I ask you who feel the call of Christ on your life to stand with the rest of your church family and together let us renew our Baptismal vows. 37 Now when they heard this, they were cut to the heart and said to Peter and to the other apostles, ‘Brothers, what should we do?’ 38Peter said to them, ‘Repent, and be baptized every one of you in the name of Jesus Christ so that your sins may be forgiven; and you will receive the gift of the Holy Spirit. 39For the promise is for you, for your children, and for all who are far away, everyone whom the Lord our God calls to him.’ 40And he testified with many other arguments and exhorted them, saying, ‘Save yourselves from this corrupt generation.’ 41So those who welcomed his message were baptized, and that day about three thousand persons were added. Jesus, in our Gospel reading, reveals himself to two disciples, doesn’t he? Revelation, the flow of communication from God to each one of us, is critical to our well-being. It is our life-blood. Without it we indeed perish. We are as good as dead – or we cast off restraint, which by implication means we adopt ways that lead to death; and not just spiritual death. And revelation is not simply cognitive. It is a heart understanding, or more accurately a profound enlivening of our spirits by the presence and insight granted us by God’s Holy Spirit within us. And you reveal yourself to someone you love, don’t you? Which calls to mind our reading from the Book of the Acts of the Apostles and Peter’s sermon on the Day of Pentecost. I’m not sure about you but there are times in my life when I wonder what this obsession with sin is all about. And no, I’m not casting off restraint and about to perish. There really is a danger that our view of salvation can be limited to forgiveness for our transgressions, our misdemeanours; that pleasing God is simply a matter of sanitised behaviour. I think this tendency is fuelled by an over-reliance on The Book of Common Prayer – on Archbishop Cranmer’s theology that careers at times between early sixteenth century Catholicism and the Puritanism of his time. That of course is a gross simplification of both Cranmer and the Prayer Book but then as people we do gross simplification all too well. The problem lies in our understanding of sin. Terms like miserable offenders do not help. Sin at its heart is separation from God, whatever its cause. Its most likely cause, if we carefully examine the story of the Fall, is our playing God, whether that is declaring independence from God or manipulating the world for our own advantage – not giving God room to act but believing that our responsibility is to make decisions on his behalf. Sin is so much broader than the transgression of a moral code. In fact the resurrection of Jesus – the reversal of death (which as we all should know is caused by sin) hails the restoration of the whole of creation. The resurrection of Jesus is a mighty signal from God that everything he has created is loved passionately by God and is to be rescued from degradation and returned to the state for which he created it in the first place. That is why Paul links the eventual physical resurrection of the believer to Christ’s physical resurrection. God eventually wins and has his way. This too is why Jesus came, not as a ghostly spirit figure, but as a flesh and blood person who fully shared our humanity. His sharing our physical humanity was a sign that God is interested in more than just our souls. In fact God is interested in every part of us, warts and all. Jesus came bodily into our midst. God became flesh – was incarnated in the world. And while Jesus may now be seated at the right hand of God, by the Holy Spirit he remains here as the head of the church. The church – his body on earth. We are in a very real sense the hands and feet of Christ here on earth. And Jesus left us with a command that In the Eucharist we ingest him body and blood, substantial and life-giving. From 1 Corinthians 11: the Lord Jesus on the night when he was betrayed took a loaf of bread, 24and when he had given thanks, he broke it and said, ‘This is my body that is for you. Do this in remembrance of me.’ 25In the same way he took the cup also, after supper, saying, ‘This cup is the new covenant in my blood. Do this, as often as you drink it, in remembrance of me.’ 26For as often as you eat this bread and drink the cup, you proclaim the Lord’s death until he comes. He’s coming back, not simply to reveal himself to one or two, as he did on the road to Emmaus, but to all humankind – because he loves everyone – and to restore all things. Yes, when the assembled crowd on the Day of Pentecost asked, ‘Brothers, what should we do?’ 38Peter said to them, ‘Repent, and be baptized every one of you in the name of Jesus Christ so that your sins may be forgiven; and you will receive the gift of the Holy Spirit. Individual repentance and salvation are important because our sins – the things we do wrong – are evidence of a life moving away from God, evidence of a sinful state, our playing God every now and again. But those who were individually saved formed themselves into a community – the church – and it is in the context of the church – God’s hands and feet in the world – that we make Eucharist together. It is no co-incidence that in Vs 35 we read how he had been made known to them in the breaking of the bread. Spiritual truth is not divorced from spiritual action. The breaking of the bread. There is a mystical link between our eating the bread – the body of Christ – and our being the Body of Christ (the church) together. But notice how Jesus prepared the two travellers: Vs. 27 Then beginning with Moses and all the prophets, he interpreted to them the things about himself in all the scriptures. Jesus spent time opening up the scriptures to the two travellers because the scriptures testify about him. Scripture is vital for revelation, but it is in the breaking of bread that their eyes are opened. Full revelation comes in a practical context – not simply a head space. But one final point. The real reason Jesus joined these two travellers to Emmaus in the first place was because they had their minds on him. Vs. 14 and talking with each other about all these things that had happened. 15While they were talking and discussing, Jesus himself came near and went with them. May our minds be on Christ. When you’re in love your mind constantly moves towards your beloved. Nobody loves us like Jesus does. And as I said earlier, he loves us warts and all. So to summarise, Jesus comes alongside the disciples when their minds are on him, when they are discussing the events of the last few days. That’s the first stage of revelation. He then opens the Scriptures to them, explaining how they testify of him, and their hearts burn within them as the revelation goes up a notch. It is finally when they break bread together that the full realisation hits them. They are with Jesus. That’s a little like our services, isn’t it? We arrive and focus our minds on Jesus. Then the word is opened to us in the sentence, the reading of the Scriptures and the sermon. And finally we break bread together and we fellowship, mystically, with both God and one another. He doesn’t place conditions on his love. He doesn’t wait for us to co-operate with him or to declare ourselves for his purposes. He gives all of himself to us because he loves all of us. He loves us and therefore reveals himself to us. His mind is on us. Let our minds be on him. 13Then Haggai, the messenger of the Lord, spoke to the people with the Lord’s message, saying, I am with you, says the Lord. 14And the Lord stirred up the spirit of Zerubbabel son of Shealtiel, governor of Judah, and the spirit of Joshua son of Jehozadak, the high priest, and the spirit of all the remnant of the people; and they came and worked on the house of the Lord of hosts, their God, 15on the twenty-fourth day of the month, in the sixth month. 16 Do you not know that you are God’s temple and that God’s Spirit dwells in you? 17If anyone destroys God’s temple, God will destroy that person. For God’s temple is holy, and you are that temple. After the reign of King Solomon the Kingdom of Israel split in two – the ten northern tribes taking the name Israel, and the tribes of Judah and Benjamin in the south taking the name Judah. The Northern Kingdom of Israel was defeated by the Assyrians and most of the able people deported to Nineveh in about 721 BC. The descendants of the remnant left behind were known in Jesus’ day as the Samaritans. The Southern Kingdom of Judah succumbed to the power of the Babylonian Empire and was exiled to Babylon in about 586 BC for a period of more or less 70 years. The Jews, as they were now known, unlike their northern counterparts, returned to Israel under the leadership of people like Ezra and Nehemiah. Out of the ruins of Jerusalem the walls of the city were rebuilt and finally a second temple was constructed – a very disappointing structure compared to the original temple built by King Solomon. We read in Ezra 3: 12 – 13 But many of the older priests and Levites and family heads, who had seen the former temple, wept aloud when they saw the foundation of this temple being laid, while many others shouted for joy. No one could distinguish the sound of the shouts of joy from the sound of weeping, because the people made so much noise. And the sound was heard far away. Those who knew the former temple wept aloud with disappointment. Disappointment is a difficult thing to handle. Whether you have let yourself down or whether you have been let down by someone else, it is tough to ride out disappointment. Disappointment not only shatters one’s dreams in the feelings of loss it engenders, but leaves the ashes of bitter experience in one’s mouth: an unpleasant situation which is the unexpected reality one has to deal with on an ongoing basis. The people of Judah had always been proud of the first temple. God had blessed it with a glorious sense of his presence. It had been the centre of their universe – the home of God amongst the people of God – a situation unique in all the earth. The temple had given them a sense of being a special people with a special mission but all that lay shattered before them as they viewed the paltry house of worship we know as the second temple. Disappointment can be a lonely experience too because not everyone sees or experiences it the way you do. They may have had lesser expectations. We read, while many others shouted for joy. No one could distinguish the sound of the shouts of joy from the sound of weeping, because the people made so much noise. Some were ecstatic. They were blind to what those weeping could see – namely that the second temple was a sad reflection of the first. I think the most pertinent example of this kind of disappointment is experienced by people in abusive relationships, where nobody else can see or understand what they are going through. This can affect human relationships in marriages, in the workplace – anywhere where people come together for a greater purpose. How disappointing it is for the battered woman whose dreams of a godly and happy marriage founder on the rocks of an abusive man who has never resolved the power issues he first faced as a child. Especially when no-one else sees the dark side of his behaviour. How disappointing it is for a principled worker whose dreams of a life of meaningful and honest employment are shattered by an employer whose private fears and insecurities lead him to carry out a double life – respectability in the face of the public and a manipulative lack of integrity in the workplace itself. Especially when no-one else suspects that there are cracks under the façade. But next to the disappointment people feel when let down by the members of their family, is the constant and nagging disappointment we feel when we have let ourselves down; whether it be in not reaching our potential, in unwise decision-making, in moral compromise or in a poor response to an unfortunate turn of events. Letting oneself down is the bitterest pill to swallow, because we have no-one to blame but ourselves. But what does God have to say about this? Well, in our reading this evening from the prophet Haggai, quite a lot. The first thing to do is not to try and paper over the truth. Face the situation squarely. God speaks through Haggai to the leaders of the new community and says 3Who is left among you that saw this house in its former glory? How does it look to you now? Is it not in your sight as nothing? It is difficult to admit these things. But whether you are victim or perpetrator, it is essential for healing. Courage. Three times in one verse they are enjoined to take courage. Achieving anything takes courage because in any endeavour there is the risk of failure. But with God in the picture we can happily take courage if we’ve taken the first step of honesty. Courage is important because without it we will remain inactive, and as we will see in the very next word uttered by the prophet, there is a call to action. God seldom promises to rescue us from tough times, but he always promises to be with us in them. That is so important to remember. God does not abandon us. As David famously said, Even though I walk through the darkest valley, I fear no evil; for you are with me; your rod and your staff— they comfort me. And finally, whether in this life or the next 7and I will shake all the nations, so that the treasure of all nations shall come, and I will fill this house with splendour, says the Lord of hosts. This is a promise worth recalling. At some point all will be made well. When disappointment comes – as it surely will – we need to acknowledge that in a fallen world these things are bound to happen. We need to face up to the reality of our situation, take courage because God promises to be with us in all that we do, and move forward. The most important thing is to learn from our mistakes, whether we have made them or they have been made by others to our disadvantage. Paul in 1 Corinthians gives us a clear steer that we need to be careful how we build. The foundation is Christ and so our building must be Christ-like. But God is merciful and where we have built inadequately, the fire of testing will destroy the un-Christlike work but the builder will be saved. However, there is a stern warning for the abusive. Let us be scrupulously honest as to how we relate to other people. We are not the only people God cares for and that means we need to tread carefully when it comes to the abuse of others. Our reading from Paul’s first letter to the church in Corinth ends, 16 Do you not know that you are God’s temple and that God’s Spirit dwells in you? 17If anyone destroys God’s temple, God will destroy that person. For God’s temple is holy, and you are that temple. As Christians the hallmark of our lives should be love. William Vanstone, in his book Love’s Endeavour, Love’s Expense, suggests we use three marks as a touchstone to measure whether we are compromising love. The mark of limitation. This is when we limit the love we are prepared to give someone. Love is conditional or at best it is downgraded to kindness that costs little. In effect love is withdrawn when we lay down conditions as to the circumstances under which we are prepared to love. The second is the mark of control. This is where the one who professes to love is in control of the person loved. Love is not self-seeking and control whether by manipulation or more direct methods is not loving. The third is the mark of detachment. This is where one withdraws emotionally from the person we profess to love, where we are not prepared to be vulnerable. All these marks – things that deny the authenticity of love – are a destruction of the temple of God: of another person made in the image of God. They deny freedom and freedom is the essence of love. We do not love expecting something in return – not as Christians we don’t. When we limit the love we are prepared to give, when we seek to control someone, when we detach ourselves from them – no matter how we try and hide it – they have an uncanny ability to sense what is happening. We are very good at fooling ourselves in these matters but we seldom fool those affected by our false love. And when we do, let us walk carefully, preserving the holiness of our fellows – especially those over whom we have power – for God’s care for them is fierce. Sgt. Phil Esterhaus, on the TV police programme Hill Street Blues, ended the introductory roll call to each week’s show with “Let’s be careful out there”. 12 Then they returned to Jerusalem from the mount called Olivet, which is near Jerusalem, a sabbath day’s journey away. 13When they had entered the city, they went to the room upstairs where they were staying, Peter, and John, and James, and Andrew, Philip and Thomas, Bartholomew and Matthew, James son of Alphaeus, and Simon the Zealot, and Judas son of James. 14All these were constantly devoting themselves to prayer, together with certain women, including Mary the mother of Jesus, as well as his brothers. 17After Jesus had spoken these words, he looked up to heaven and said, ‘Father, the hour has come; glorify your Son so that the Son may glorify you, 2since you have given him authority over all people, to give eternal life to all whom you have given him. 3And this is eternal life, that they may know you, the only true God, and Jesus Christ whom you have sent. 4I glorified you on earth by finishing the work that you gave me to do. 5So now, Father, glorify me in your own presence with the glory that I had in your presence before the world existed. If your billionaire uncle, who loved you very much, was about to jump on a plane, and you knew you’d not see him again, what would you ask him for? I’m willing to bet it would probably be the thing uppermost in your mind that would pop out. It’s certainly clear what they want, isn’t it? It’s presented in the form of a question but we know it’s a request really! Jesus distracts the disciples. He changes the subject, and he tells them to expect the Holy Spirit and then get on with the real task – witnessing to him to the ends of the earth. Being given a job to carry out to the ends of the earth quickly changes things. In essence they are given an answer that represents something other than the thing they long for, something God wants and which he knows is a far better thing; better for them and better for humankind. He will empower them for service in the Kingdom of God. Beverly and I have been asked to share with you an example of a prayer request being answered by God and what I share illustrates that God answers prayer but, just as for our nationalistic disciples, it’s not necessarily what we expect: it’s normally better for us and for humankind. The story begins with someone I know very well indeed. Henry is Faith’s Zimbabwean cousin and a remarkable man of God. Through sheer hard work Henry had saved up and bought a small farm that he believed God would use as a base to do great things for God. All was going well until a group of politically and criminally motivated thugs arrived and informed him that they were taking his farm. He had two hours to get off. It was illegal but that’s what happens in Zimbabwe and the courts are so corrupt, fighting these land invasions is a waste of time. Henry addressed the man they identified as the new owner and said, Philemon, as much as I have nowhere to go, and you have taken my life-long dream away from me in one day, I am not going to be bitter or angry with you. I want to bless you as you come onto this farm. I will assist you wherever I can. I want you to enjoy this farm as I have enjoyed it. As a result he was given three months to vacate the land. At the time Henry wrote, So to those who have heard about our farm grab. Please don’t on my account fan the flames of racial hatred and bitterness. Rather put your own trust completely in our dear Heavenly Father, and wait to see how wonderfully He is going to turn this situation for His glory!! It was at this stage as I recall that Brecon’s Home Group began to pray for Henry and his wife Mandy. Henry then heard that Philemon was ill. He offered to pray for him and he was healed! He then began to back off the farm grab. It looked as though Henry might be able to keep his farm. However, the evil that is afoot in Zimbabwe was not about to abate. Others in the group brought what amounted to trumped up charges against Henry and a draining legal battle began. It became clear that Henry was facing a seven year jail term. Mandy suffered a breakdown and the couple fled the country with only the clothes on their backs and their suitcases. To their credit, Brecon’s Home Group were praying regularly for Henry during the long court case and I was able to give them the occasional snippets of feedback, but the picture grew murky around the time of their escape from Zimbabwe for obvious reasons. But the prayers continued and the Afrikaans press in South Africa publicised Henry’s story widely. A group of people in Bloemfontein took Henry and Mandy under their wing, and provided them with a fully furnished home and a vehicle. Henry grew to be in great demand, especially in rural areas, as a preacher. Literally thousands of farmers in South Africa have been murdered since the ANC came into power and people wanted to hear from Henry. His loving response to aggressive hatred drew people to hear him minister. Henry’s ministry mushroomed and the demand has not abated after many months. Initially Henry longed to keep his farm. But as things seemed to go from bad to worse, as prayers went up for him and Mandy from various corners of the world, God answered his prayer by giving them something far better; better for them and better for the many people who are being reached by his ministry. About a month ago Henry was preaching in Auckland and popped along to Holy Trinity just in time for a cup of tea outside the hall. He wanted to thank the people who had prayed for him. I arrived back from Helensville and joined Faith, Henry and Mandy at the Navy Museum for lunch. I couldn’t help but be impressed by the love of Christ he exudes. The ministry of prayer which we offer at Holy Trinity had much to do with enabling Henry and Mandy to experience God’s goodness in a remarkable way. Our prayers are still blessing hundreds of people in the ministry Henry now exercises in South Africa and beyond.